Video a priority for new VP and EIC. The FADER is making some dramatic changes to its edit strategy, starting with a few key hires, including a new VP of content and an editor-in-chief, and the launch of a dedicated video unit. Joseph Patel, formerly VP of content and creative for MySpace and head of production for Vice Media, will lead content operations at the music publication in a newly-created role. He’ll be joined by The FADER’s latest EIC, Naomi Zeichner, who comes over from BuzzFeed and takes over for Matthew Schnipper. The company also says it’s hired two video producers and plans to continue expanding the department. Patel and Zeichner come on board to head up a larger edit reorganization effort. For the most part, print, digital and video teams will be working separately, specializing in one particular medium. 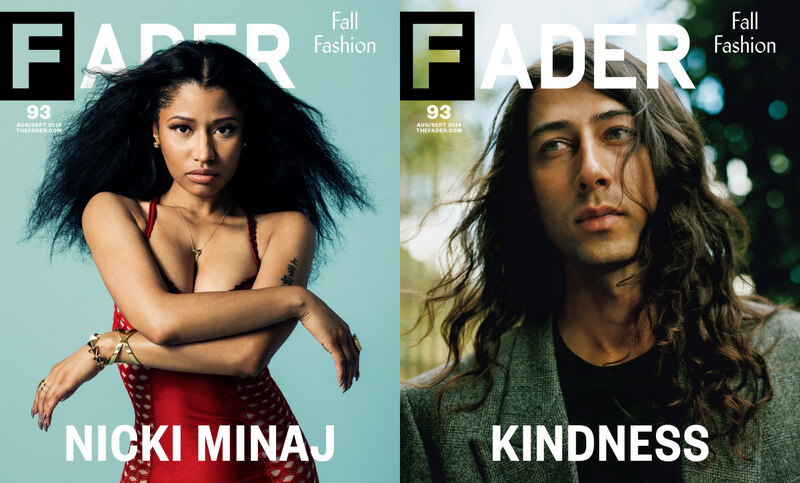 "The FADER has such a venerable track record of discovering new artists and cultural influencers through the magazine, so one of the first things we want to do is extend that beyond the pages of the publication into online and video," Patel says. "We [also] want to broaden the scope of what we cover, look at music culture through the lens and voice of The FADER." He adds: "We restructured the team so that the creative of who and what we want to cover comes from the entire pool of talent in the room, but then how we tell those stories-through print, online or video; or across all three platforms-have dedicated teams to make them come to life." As the hires suggest, video—and other forms of interactivity they’re still playing around with—will become a central piece of the content strategy moving forward. It’s a piece The FADER has already used, but only sparingly, with one staffer or freelancer at a time. The new video team will produce both short- and long-form content, Patel says, and will collaborate with artists for original pieces. The investment in video doesn’t mean print is going away though. There’s a willing audience there—its 115,000-bimonthly circulation is up 10 percent over last year. "The print edition will continue to evolve-its design will develop and we’ll continue to pursue longform stories that aren’t traditional profiles-but its core role will remain the same," Zeichner says. "The internet has been around for as long as our magazine, and our magazine has always been a place to step back from the noise." "I think we’ll see that magazines which act like the Internet will have a hard time keeping up with the Internet—although there are a couple, like New York, Billboard, and Businessweek, that still feel essential to me. But beautifully designed print objects that capture a moment in time, functioning sort of like a semi-regular yearbook for you and all your Internet friends? What’s better than that?"